Leeches! At first they seem innocuous. Little inch worm creatures moving like mini-slinkies, somersaulting toward our feet. 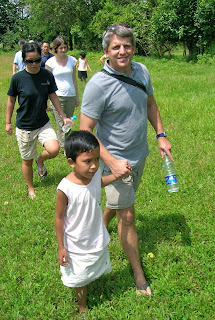 Then we realized they were land leeches and suddenly they were worthy of serious attention as our team stomped through the thick tall grass, some only wearing flip-flops on that first day. Then flashes of movement and rustling amongst the dense vegetation gave away the presence of other small creatures and (hopefully) harmless snakes. Despite the creepy crawlies one could see the lushness of the land and the potential it holds to feed children with healthy food and yield cash crops that when sold will earn money to purchase other basic necessities. Context. 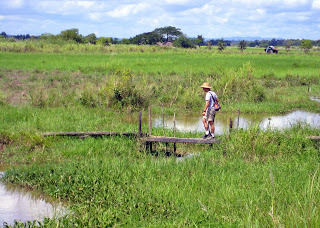 In this Southeast Asia country with its warm, humid weather and vast low-lying deltas, it is easy to see conditions conducive for a rich harvest but these conditions also revealed its susceptibility to deathly floods when Cyclone Nargis ripped through this country mercilessly in 2008. Conservative death estimates were around 150,000 while some unconfirmed independent estimates numbered deaths as high as one million. Whether it is shunning international aid in the face of a natural disaster or exercising political persecution amongst its own population, it is impossible to avoid the smothering presence of the ruling military government. Hope. But in the midst of this poverty of resources and freedoms there continue to be those who embody love and self-sacrifice and the result are homes where children who have lost both parents grow and thrive. 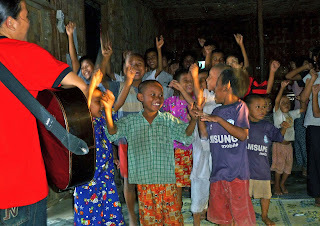 We were at such an orphanage where children are loved, sheltered and have an opportunity to receive a good education. They also have an opportunity to meet Jesus and we witnessed the fruit of that relationship as we shared our days with children who raised their hands in worship with full conviction and blessed us with their beautiful voices in song. The Orphanage. 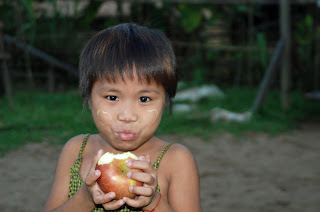 In fact, those who operate the orphanage are not content to just take care of their own children but they also bless other orphanages with gifts of food and various life staples from the fruit of their own land and labour. How much more does God desire to bless those who are themselves generous with what they have been given! 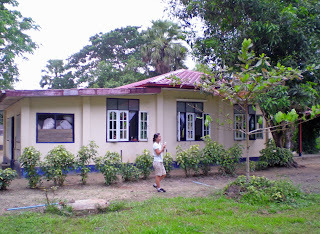 Our one week visit there was to assist them by developing a Master Plan for the development of their 27 acre property. They have already begun by building homes, providing clean water and working toward self-sufficiency through agricultural/aquacultural initiatives. However, they also understand that as they continue to develop their property with housing and agriculture they need guidance to maximize the use of their land. Existing Conditions. The property currently has one girls home and one boys home with a current total of thirty four children. Both homes include space for house-parents. There is also a Dining/Kitchen building, one staff house, a straw and thatch kitchen and two water towers. There are two fish ponds and facilities to raise cows, goats and chickens. 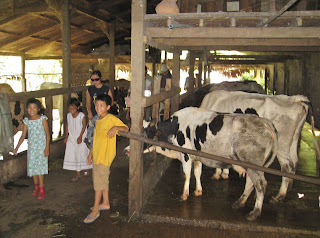 These animals provide fresh milk, eggs and meat for the children. A variety of vegetables and fruit are grown on various parts of the property. On a separate piece of land this orphanage owns and operates a farm where they grow many acres of rice as a cash crop, maintain a very large fish pond and raise turkeys. 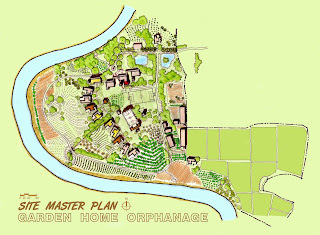 The proceeds of the farm help pay orphanage staff wages, provide planting/harvesting work for the local population and feed their own children as well as those in other nearby orphanages. Master Plan. The goal of our team was to take a scattering of existing buildings and create a village: a place of community, recreation and learning. When the Master Plan is fully built out, there will be a central community outdoor space with a soccer field, an administration building, five girls homes, five boys homes, an education centre/guest house, a multi-purpose (gym/meeting) building. 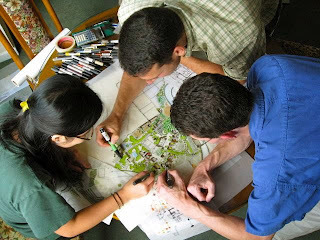 These will all have their defined locations but will be connected to each other visually through the landscaping to maintain a connectedness, an accountability within the community. A sustainability/resource planner on the team helped to organize the agriculture around the property to create visual interest and take advantage of various growing conditions. The Children. While our team of engineers, architects and planners worked hard to develop the design of the site plan, buildings and infrastructure, the pay-off was to spend some time with the children who all have had such a hard start to life. 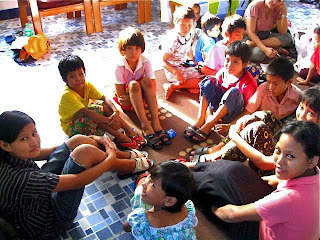 The smiles, laughter and playfulness that exuded from the children could easily have been cynicism and hardness if they had not been brought into the care of this orphanage. But in these children we see eyes that twinkle with curiosity and we hold hands that reach out knowing it will be received and held with love and protection. These children sleep soundly, assured of their heavenly Father’s love. Love Thy Neighbours. At mid-week of our time we took an afternoon off to visit two other orphanages. These were on smaller, more urban properties where they had less chance to grow their own food sources. But where they could they have done so and at both orphanages we were again met with songs of joy and thanksgiving from the children. It struck me that often the children in our western churches, who have so much, do not sing with as much conviction and thanksgiving as these children who have so little by comparison: there is something we can learn from them. Project Photos. A new set of photos has been place in my Photo Gallery for this project, so click here (Photo Gallery) and see the Southeast Asia set with a slideshow (click the middle of the photo for commentary). If you want to spend a little more time looking and reading, click here in Details (Photo Details). Check these out along with the project video on my side bar and see what your support, encouragement and prayer have produced in the work of this team. "Thank you" to all our prayer and financial supporters for making this project a reality.